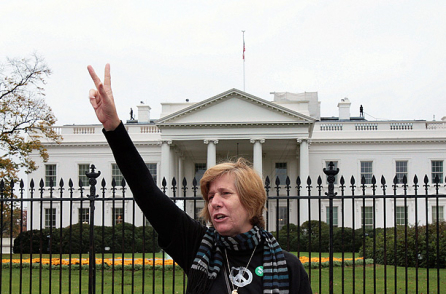 Cindy Sheehan, aged 56, is an internationally renowned peace and social justice activist. Sheehan’s oldest son Casey was killed in Iraq on April 04, 2004 and many came to know about her and her work when she set up a peace camp near the faux-ranch of then president George W. Bush in Crawford, TX in the summer of 2005. Since then, Cindy Sheehan, has traveled the world working with fellow activists demanding peace and working with others to help create a world that is peaceful and more economically secure and equal. Cindy Sheehan is a native Californian who was raised in a California where education was excellent and other social safety nets were not as small and filled with holes so big, millions of Californians fall through while the rich and corporations keep exploiting more of this state's wealth and resources. Sheehan majored in California History at UCLA and envisions a state that leads the world in peace, economic stability and equality, environmental sustainability and delivering high-quality public education from pre-K through university. She knows it can be done because it has been done before. Cindy Sheehan has published seven books, been arrested for peace about 21 times, is currently a resident of Vacaville, CA and the mother of three surviving children and four grandchildren who are her love and her inspiration. CFCG2014 opposes the exploration, drilling, fracking, and refinement of all fossil fuels and nuclear power and is committed to leading California in making the quickest transition possible from using these dangerous practices to energy creation and usage that is sustainable, clean and renewable. These industries and their assets should be expropriated and put under the democratic control of the workers during the transition period. Affordable, or free, forms of public transportation will be greatly enhanced and expand safe pedestrian and bicycle routes. Hemp is a much better substance to make plastics, fuel, paper, and fabric (among other things) and its cultivation is healthier for the soil and environment—any restrictions to cultivating hemp will be removed. CFGC2014 believes that peace in our cities, communities and neighborhoods begins with economic and social justice. Free education and job programs will be at the forefront of our program so our young people will not have to feel that joining the US Military or California National Guard is an option. The California National Guard will only be used for state emergencies and not be sent over to foreign lands for the wars for Empire. The resources of California will no longer be used to build the US Empire. CFGC2014 believes that high-quality, easily accessible and no-cost public education is a human right, not a privilege for the 1% and will use the budgetary duty of the office of the governor to make this and forgiveness of student loans a high priority. By all measurements, California has fallen to the bottom of this nation in education standards and a Sheehan administration will make putting California back on top a high priority. CFGC2014 believes in the defense and extension of the liberties guaranteed in the U.S. Bill of Rights, including freedom of speech, press, assembly and association, and the right to keep and bear arms for individual and collective deissuesbb2.pngfense. The ultimate guarantee of those rights is the organized strength of the working class. Capitalism and poverty breed crime and repression. Working class people are the primary victims both of street crime and of police reaction to it. The bosses use laws against victimless activities, "legal" and illegal expansion of police powers, military and paramilitary occupation of poor and minority communities, and diversion of resources to police and jails, to keep workers intimidated and dependent. Citizen review boards over police conduct will be formed for true accountability. Dismantling of the prison industrial complex will be possible as spending on education, jobs programs, and other social programs increases. Prisons will not be for profit. CFCG2014 will work for an agricultural system that ensures enough food and other farm products to meet human needs, guarantees a high standard of living to farmers and farm workers, protects humans and the ecosystem from environmental degredation, encourages organic farming, bans the use of Genetically Modified Organisms and protects honey bees. CFGC2014 believes that access to quality medical and dental care is a basic human right. We stand for a democratically controlled, publicly funded health care system. We support health practices that emphasize education, prevention and nutrition. CFGC2014 will end the harassment of immigrant workers by government authorities, We will work for open borders; end to deportation and separation of families; full political, social, and economic rights for resident non-citizens. CFGC2014 believes that our elders should be able to retire at an early age with dignity and full pay at the prevailing union wage with all the other benefits that the people of California are entitled to. CFGC2014 is the first gubernatorial campaign that will highlight the issue of restoring our indigenous people to self-determination and their rightful place of honor as the original people of our state. Returning of tribal lands and fishing/hunting grounds will be one of our paramount goals. Cindy Sheehan, is the internationally known anti-war activist whose son Casey died in Iraq. Sheehan gained national attention in early August 2005 when she traveled to President Bush's Prairie Chapel Ranch just outside Crawford, Texas, during his five-week vacation retreat there. Demanding a meeting with the President and an explanation of the "noble cause" for which her son died, she created a peace camp called Camp Casey by pitching a tent by the side of the road and announced her intention to stay, day and night, for the full five weeks, or until such a meeting was granted. She has also promised that, if she was not granted a second meeting, she will return to Crawford each time Bush visits there in the future. Since the first Camp Casey, Cindy has established or inspired similar camps and protests all over the USA. Her journeys on behalf of the Peace Movement have taken her all over the world - Australia, South America, Europe. In all her travels and talks, she touches on how the president has betrayed the American people and exploited the brave men and women in uniform to bring more profit to his friends. "My goal is to bring our troops home to try and save another mother from going through what I am going through." 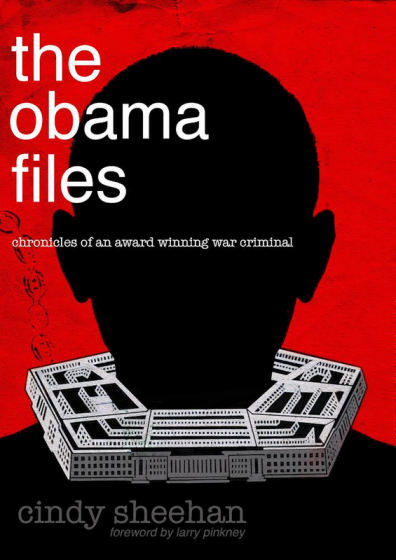 The Obama Files is Cindy Sheehan's latest book. The book is a six-year long chronicle of the hypocrisy of the US Empire and the abdication of the "left" in calling out the war crimes of "the first black US president." Cindy's work shows clear-thinking and understanding of the truth behind the Empire of lies, but this is not a book about "gloating:" meant to awaken people to these truths that should be "self-evident" by now! The Obama Files is now in its final stages of production and if you pre-order a copy today, you will get one of the first ones hot off the presses, signed by the author. 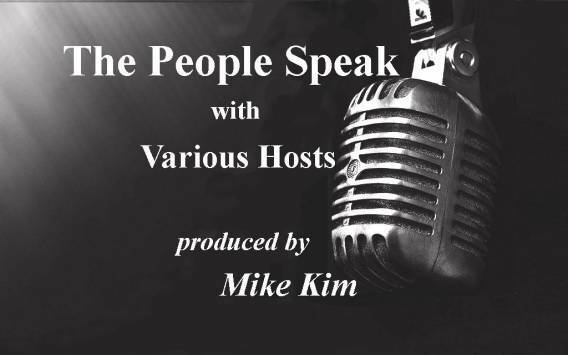 The People Speak has evolved over the years with many great guests who have been interviewed by some very fine hosts. We are a 55 minute show airing every other Sunday between 5-6pm Pacific/8-9pm Eastern. The show features a guest interview from any number of realms of interest (entertainment, science, philosophy, healing, spirituality, activism, politics, literature, etc.). 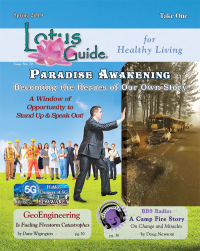 The guests share their stories, lives, strategies, books, philosophy, films, music, or whatever it is they use as a vehicle for making a difference for the better. The radio show name, The People Speak, is based on the idea of allowing our audience - the People - a chance to interact with the guests during the hour, and we take phone or text questions from them during the interview. Past guests include such notables as Nobel Peace Laureate Archbishop Desmond Tutu, the late Howard Zinn, Nobel Laureates Mairead Maguire, Shirin Ebadi, Kathryn Najimy, Oliver Stone, Jesse Ventura, Richard Belzer, Cynthia McKinney, Cindy Sheehan, Scott Horton, Joan Jett, Willie Nelson, George Galloway, Roseanne Barr, Ed Asner, Chevy Chase, as well as various reps from Amnesty International, UN World Food Programme, and many others. Just want you to know how much I appreciate your radio station. I love the quality of the programs you air. It's so different from the regular programs offered in ordinary venues. Thank you for being open enough to bring forth spiritual and metaphysical programs such as those that Tara & Rama have. Sincerely, ~ Magic Mary M.